Segmented diamond band saw blades can be used to cut a wide variety of hard materials including silicon, quartz, carbon, glass, ceramics, and composites. Our specially formulated steel backing lends exceptional flexibility, while not sacrificing strength to the band saw blade. All blades are cut to customer specification and welds are guaranteed for the life of the blade. HANS offers a segmented diamond band saw blade that can provide precise cutting, minimal material loss, and superior band life. HANS segmented diamond band saw blades are coated with a non-continuous diamond edge that spans the entire edge. (1) Dimensions of band saw including legth, width and thickness of matrix. (2) The intensity of diamond or thickness of diamond coating. 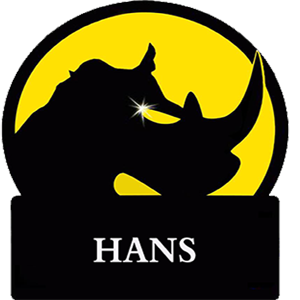 Using high quality grit electroplated to the blade edge - HANS provides a diamond band saw blade that can offer precise cutting, minimal material loss, and superior band life. Regardless of what material you`re cutting - quartz, glass, carbon, silicon, ceramics, or composites = our specially formulated steel backing will lend exceptional strength and flexibility to you diamond band saw blade. All blades are cut and welded to customer specification with a weld guarantee that lasts the life of the blade. Looking for ideal Segmented Diamond Band Saw Blades Manufacturer & supplier ? We have a wide selection at great prices to help you get creative. All the Diamond Band Pathology Saw are quality guaranteed. We are China Origin Factory of Replacement Diamond Band Saw Blade. If you have any question, please feel free to contact us.